Welcome to Poppenmoon! 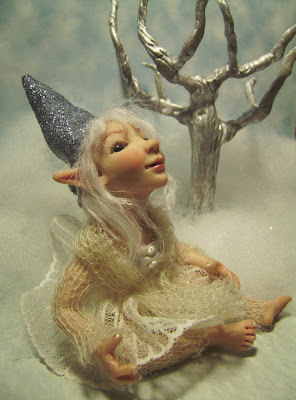 I am Tricia Lancia, dollmaker, puppeteer and textiles designer. 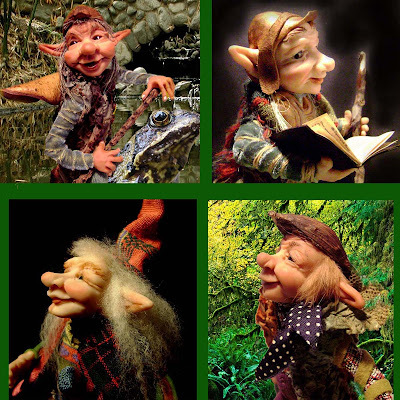 For over 30 years, my work in theatre, puppetry and costume design has given me the opportunity to explore several creative outlets. As a costume designer, I have gained a love for vintage clothing, fabrics and trims, all of which I often incorporate into my designs. 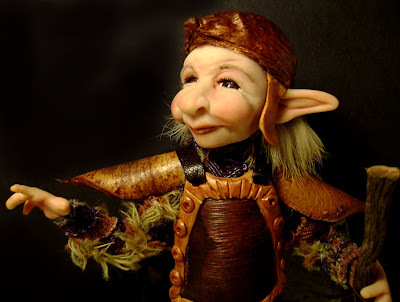 I got hooked on puppetry while designing masks and hand puppets for the play, "Ubu Roi". 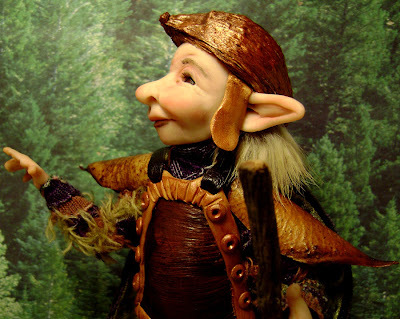 SInce then,I have created and performed with puppets, marionettes and character dolls, in several mediums. 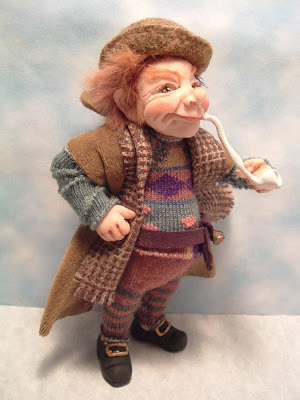 My first dolls were soft sculptured "Full Moon Creations" a cast of characters which included: Beasties, Snerks, Snerds, Gnomes, Gypsies and Floozies. 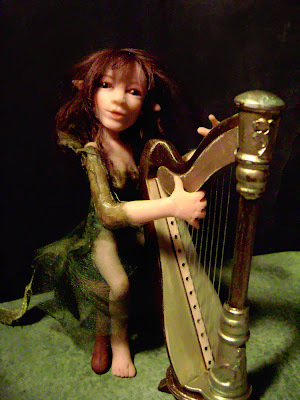 Those dolls were sold in gift shops, galleries and at juried art shows throughout the USA and Europe. 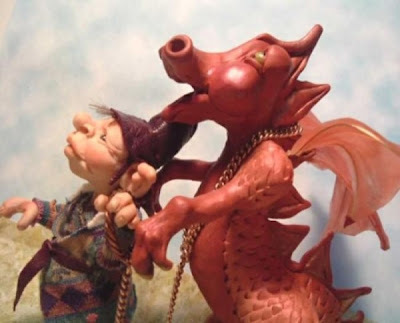 Since 2002, I have offered one of a kind hand-sculpted fantasy creatures in polymer clay, on ebay and my website. To view more of my work, visit: www.poppenmoon.com. Welcome to Poppenmoon. 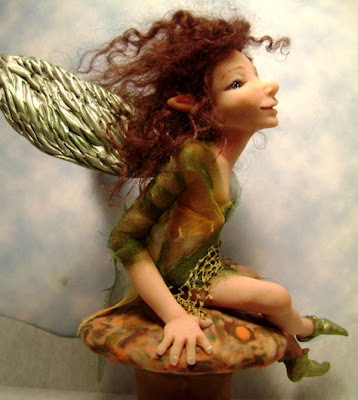 Here you can view some of my past and recent one of a kind fantasy sculptures. You can usually find my work on ebay each week under the username: poppenmoon.